Italian designers proved a popular choice for stars at last night’s Golden Globe awards in Los Angeles. Actors and actresses hit the red carpet in looks from Versace, Armani, Nina Ricci and Valentino. Brad Pitt and Angelina Jolie were stunning in his and hers Versace, but it was Jolie who stole the limelight in an amazing emerald green gown by the Italian designer. January Jones went for a more va-va-voom Versace number, hitting the award show stage in a red hot evening dress. Anne Hathway wore Armani, dazzling in a form fitting sequin gown. While Megan Fox wore a pale pink frock created just for her by the famous fashion house. Halle Berry rocked a risqué Nina Ricci, walking the red carpet in a short black gown. And Michelle Williams rounded out the Italian designer dresses by choosing a quirky daisy-print Valentino. But it was Colin Firth who exuded la bella figura all the way from the podium. 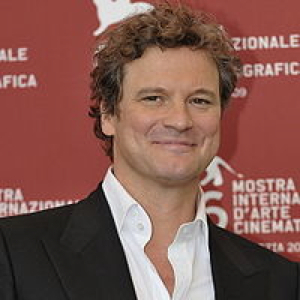 Firth, who is married to Italian film producer Livia Giuggioli, took home the Best Actor in a Drama award for his role in The King's Speech. Maybe Colin can give his next acceptance speech in Italian- the dreamy actor splits him time between London and Italy and is fluent in the language!